Fresh from his memorable plenary lecture and standing ovation at BEVA congress 2017, the incredible Professor Derek Knottenbelt is back with his band of intrepid motorbike-riding vets to raise money for charities. Not content with riding the length of Great Britain nor crossing the expanses of Africa, the team are tackling their toughest challenge yet -4000 miles across the Arctic Circle. 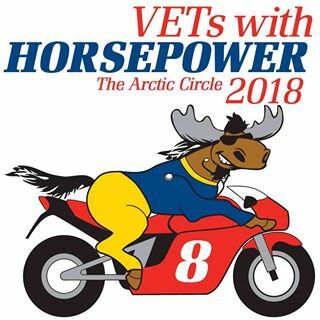 VetswithHorsepower founded in 2010 and comprising a team of equine specialists have to date covered 17,500 miles on motorbikes, delivered 324 hours of lectures and raised an impressive £568,000 in aid of 12 charity projects. If you have ever been inspired by someone in the veterinary profession like these incredible individuals, then do something amazing today and support Horsepower today. As a proud BEVA member humbled by the content of Derek's Plenary lecture (if you missed it click here) please consider supporting www.vetswithhorsepower.com. Follow their progress via Facebook and Twitter.